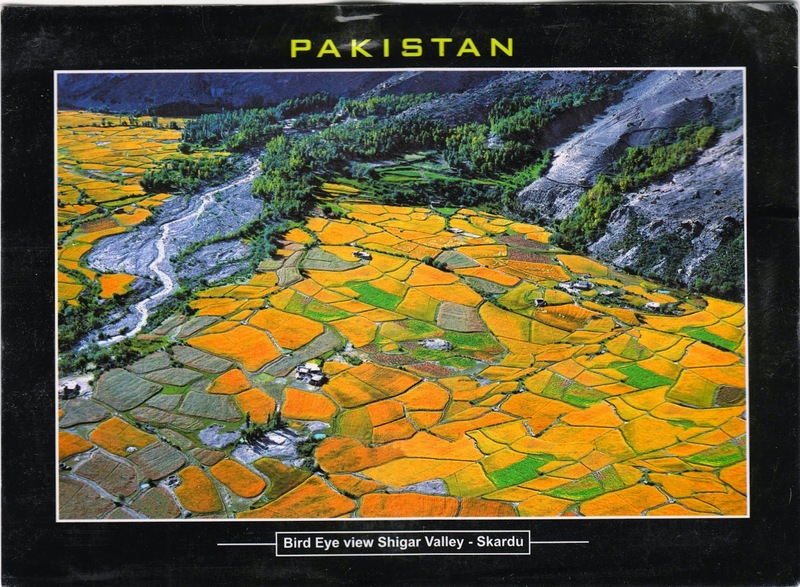 Postcard PK-3925 from Pakistan shows a bird-eye view of the Shigar Valley in northern Pakistan that is associated with the Shigar River. A gateway to the high mountains of the Karakoram, the valley stretches about 170 km from Skardu to Askole in a remote and largely inaccessible area. There are several villages in the valley: the town of Shigar being the largest and Askole being the last settlement that is closest to yet still quite far from the high mountains. The Shigar Valley is known for mining a variety of gemstones.